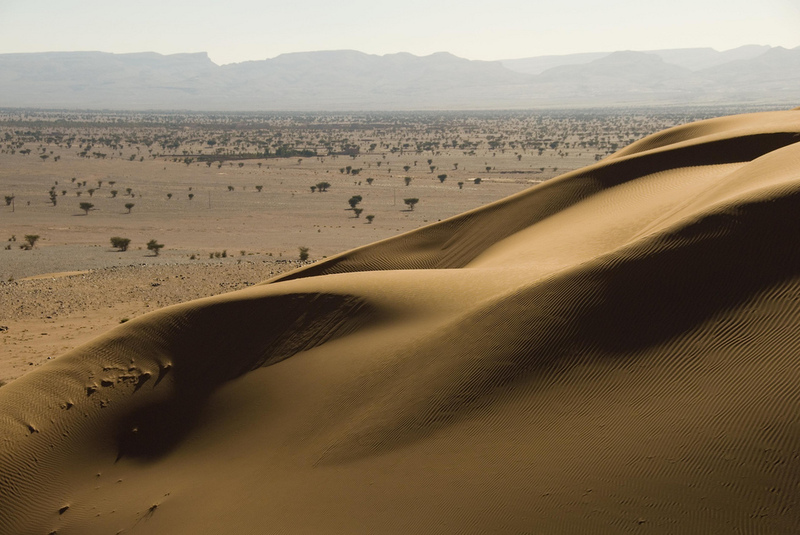 The Deserts of Morocco,when we talk about desert, we have in mind images of huge sand dunes, as far as the eye can see, mirages, perhaps, and “nothing”. These large colored dunes are found little in Morocco. 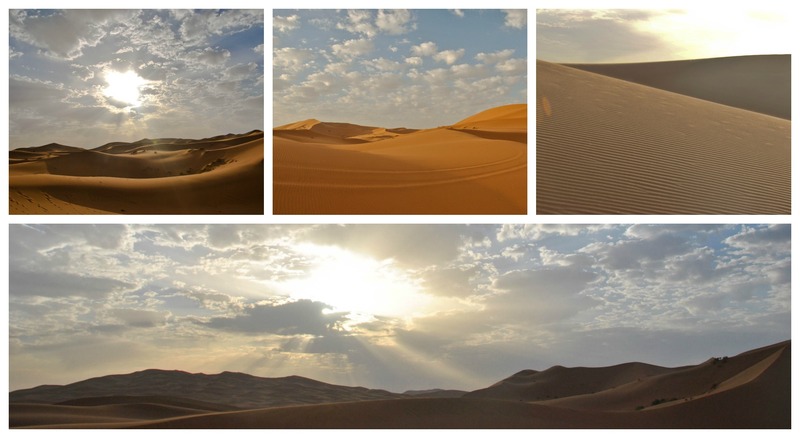 There are only two ergs, the famous Erg Chebbi, next to Merzouga, and Erg Chigaga, further south, near M’hamid. 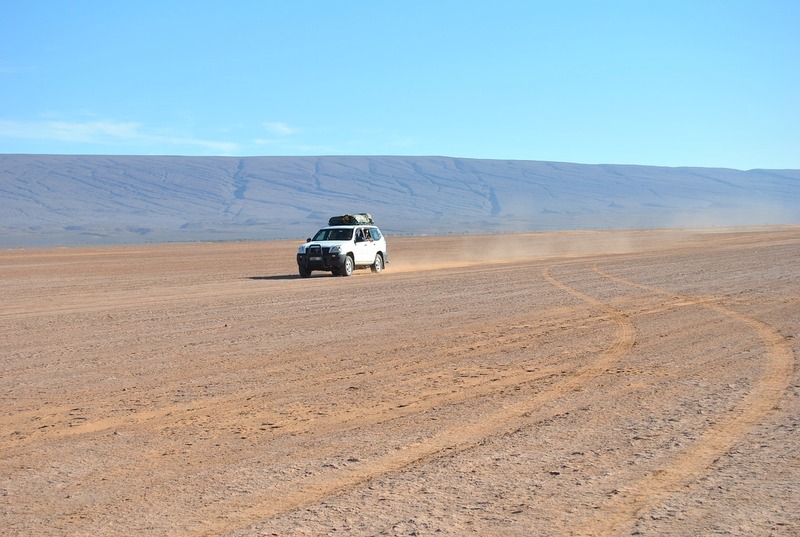 If Chebbi is the highest and most extended, Chigaga is more isolated, since it takes about 45 minutes of 4×4 to reach it, while Merzouga is really “at the edge of the road”. Going to the dunes is a dream come true. Whether sporty and hiker, or a little less sporty (but still) and let yourself be carried by the amble of his dromedary, it feels like “in a picture”. By rolling in the sand to hit the dunes, we replay movies and comics, letting ourselves go to the pleasure of a fast and safe descent. We prefer these deserts to sand dunes, their landscapes are more varied, always bitter, arid, often dark, like the almost black peaks of Djebel Saghro, or our oasis, just next to Serdrar, where fossils set in shale and black marbles outcropping, so numerous that one has the impression of walking on a presentation in a museum of natural history. Browse under a crushing sun, a heavy dodger of late spring these plains where, a few hundred thousand years ago, skipjack, small fish wriggled in a sea now extinct, it is a special experience, which allows to touch the point at which the “nothing” that is the desert means a disappearance. There, in this Hamada of Drâa, in prehistoric times, passed gazelles and elephants. It may not have been a lush jungle, but it was a rich, green region whose inhabitants have left their mark in rock carvings. Today, the river Drâa will disappear under the sand, not flowing freely to the Atlantic, absorbed by a thirsty land. The oases of Drâa are a wealth. They dot the largest palm grove in the world, islands of lush green, almost aggressive, planted along the course of the river, in a yellow and red landscape that extends to the Atlas. 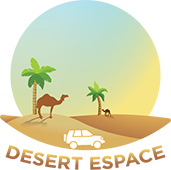 To discover the desert, you have to take your time. It takes more than a few hours’ trip for the body to begin to dry out, feel the effects of aridity and dust, so that the eye is at the sparkling brightness. You have to spend a few nights, to fully enjoy a sky filled with stars as we do not see anywhere else. And above all, it takes a few days, for the “nothing” of the desert to produce its effect. Gradually, the little details around you, a simple grass, a small insect that roars a few minutes, and you would never have noticed, takes on an unsuspected importance. This is the magical effect of the desert, to open you to the world. After a few days in the desert, when we return to the oasis, what could pass in the eyes of the tourist for a few strands of dusty grass, a muddy ditch, becomes a spring meadow, and a river. 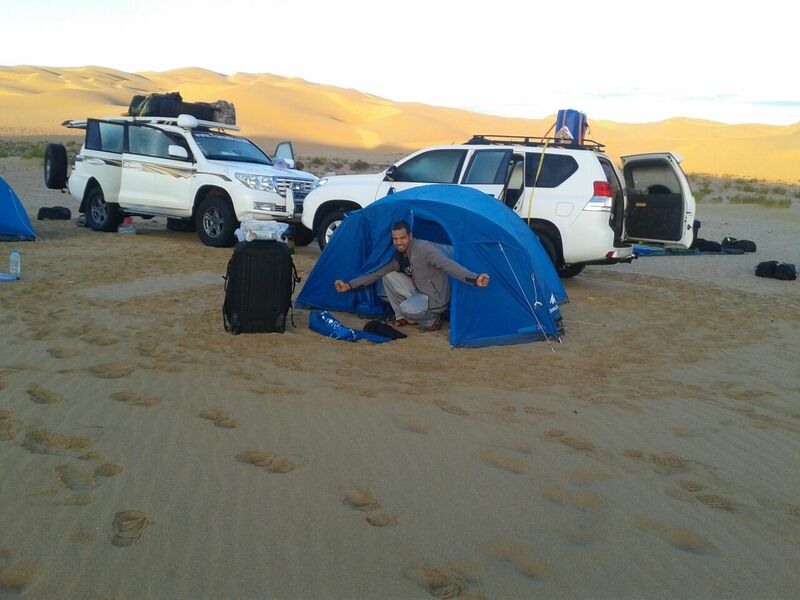 From Marrakech, it takes 4 days to really go to the desert , and it is a minimum. Below, we make the road to spend two or three hours in dunes. The summer period is rather to be avoided, unless we particularly like the heat. It sounds obvious, but it’s very hot in the desert, summer. So – especially if you’re traveling with kids – take plenty of water, and plan small trips. Want to make your Sahara dreams come true? 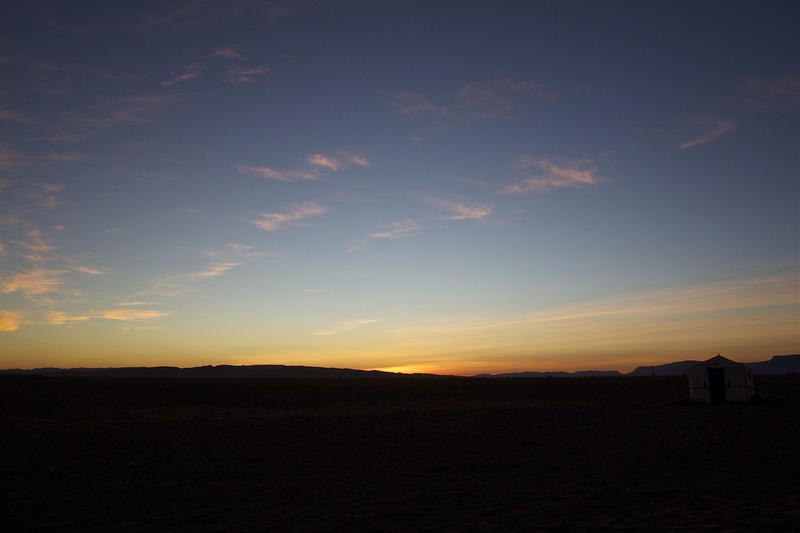 Check out some of our great Morocco itineraries that include trips to the Sahara. You’re sure to have an unforgettable experience! Feel free to send us message to ask about anything!